Developed in 1934, trampolines were originally used to train astronauts or were used as a training tool for other sports. They soon became popular in their own right and a sport was born. The first modern trampoline was built by George Nissen and Larry Griswold around 1934 at the University of Iowa. 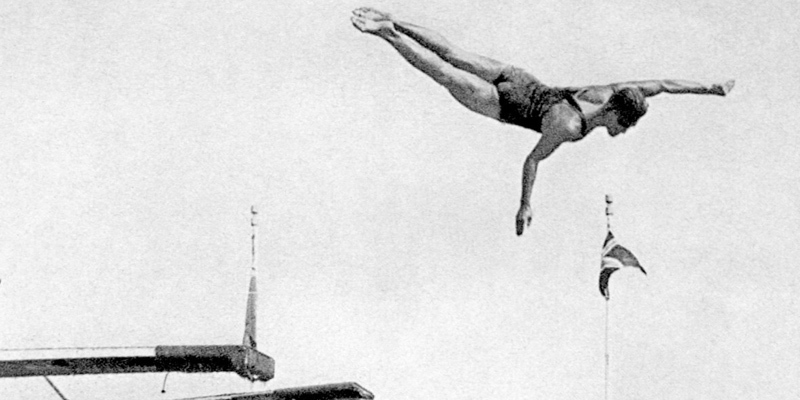 It was initially used to train tumblers and astronauts and as a training tool to develop and hone acrobatic skills for other sports such as diving, gymnastics and freestyle skiing. People enjoyed the sensation so much, they began to trampoline for sheer fun, and it became popular in its own right. Nissen and Griswold envisaged trampolines being used in a variety of new games, although they never grabbed the public’s imagination. In one, called Spaceball, two teams of two on a single trampoline with specially constructed end walls attempted to propel a ball through a middle wall, to hit a target on the other side’s end wall.